In their ongoing quest to revive and preserve ancestral grains, a Clemson University scientist and his collaborators have begun the process of restoring a nearly extinct variety of wheat that traces its American roots to the 1700s. Purple Straw is the only heirloom wheat to have been cultivated continually in the South from the Colonial Period into the last quarter of the 20th century. It remained a crop wheat until the 1970s, when it was then abandoned and replaced by more productive modern hybrids. Now, only a few seeds remain of this tasty, nutritious and hardy winter grain. But they're in good hands. Using a system of seed escalation called "crop intensification," Clemson research specialist Brian Ward has begun the process of turning half a pound of Purple Straw seed - which he planted in late 2015 at Clemson's Coastal Research and Education Center in Charleston - into several hundred pounds when it is harvested in early May. Ward will follow this up with a second, larger planting in late 2016 that should produce more than a thousand pounds in 2017. And after a third harvest in 2018, Ward should possess several tons of the rare and valuable seed. "We're always at the mercy of Mother Nature. Bad weather can waylay the best of plans," said Ward, who is growing the wheat in the nutrient-rich organic fields surrounding Coastal REC. "But once we achieve tonnage, then we'll have a secure seed that we can store in the seed bank and also give to growers and seed companies so that they can ramp up their own production. And that's how a crop that was endangered is eventually brought fully back to life." While most other ancestral varieties of wheat were annihilated in the 19th century by a multipronged assault of pestilence and pathogens, Purple Straw continued to thrive. Perhaps, this was due to it being a short-growing winter wheat that matured before it could be seriously threatened. Ironically, Purple Straw's fall into disfavor came not from disease or infestation but rather from the rise of modern hybrid wheats and foreign introductions that were genetically designed for disease resistance, grain size and massive production using petroleum-based fertilizers. Even if fully restored, Purple Straw will not be able to compete with these hybrids when it comes to quantity, but it will stand out admirably in terms of flavor and nutrition. "Purple Straw had certain culinary qualities that impressed people from the first," said South Carolina food historian David Shields, who is the author of "Southern Provisions: The Creation and Revival of a Cuisine." "It has a purplish stem and husk - hence its name. But it's a high-protein, low-gluten wheat that mills white and is soft and easily handled, making it great for whiskey, cake flour and biscuits. And of course, what's more Southern than whiskey, cake and biscuits?" Shields said landrace grains such as Purple Straw were developed over hundreds of human generations and thousands of plant generations, resulting in flavors that formed the "fundamental chords of world cuisines," including porridges, breads and beverages. "If the qualities of Purple Straw could be incorporated genetically into modern hybrids, then crop wheat would become more wholesome and congenial," said Shields, chair of the Carolina Gold Rice Foundation (CGRF), whose mission is to advance the sustainable restoration and preservation of heirloom grains. "And the original pure strain could still be cultivated as a specialty crop. Distillers and bakers from all over the world are already showing plenty of interest in the pure strain. This is a public resource that deserves to be in the hands of anyone who wants the most historically resonant and finest Southern grains." Clemson's Purple Straw project was kick-started by Glenn Roberts, president of Anson Mills, a company based in Columbia that produces landrace grain, legume and oilseed ingredients grown on more than 100 farms across America. As Roberts often does, he turned to Shields for help in researching the history behind the Purple Straw variety. 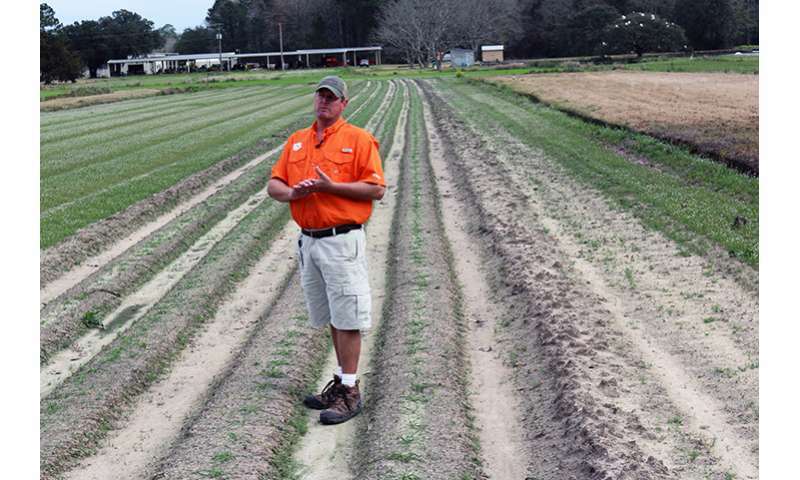 "My colleague David Shields uncovered one very simple fact about Purple Straw wheat that changed the game for the arc of development of cereal husbandry from the Antebellum South to modern times," said Roberts, who is president of the CGRF. "And that is, prior to his discovery, everyone thought that Purple Straw wheat somehow appeared - as if by magic - around 1822. But David found that it was present and robust prior to the American Revolution." As a result of this revelation, the hunt for Purple Straw seed was on - and it led to several locations, including an isolated area east of Cleveland inhabited by an Amish family. But the family had barely enough seed for its own needs and could not afford to give any away. Roberts also visited the Agricultural Research Center at Washington State University in Mount Vernon, where a small plot of Purple Straw was being tended. But that seed was reserved for further research. However, Purple Straw seed was eventually obtained from two places. Merle Shepard, professor emeritus at Clemson and vice president of the CGRF, contacted longtime cohorts Mike Bonman and Harold Bockelman at the USDA's National Small Grains Collection in Aberdeen, Idaho. Though the seed was precious and scarce, Bonman and Bockelman agreed to send most of the NSGC's supply to Clemson. Meanwhile, Shields discovered that an organic operation in Chico, California, called the Sustainable Seed Company - which provides gardeners with almost 2,000 varieties of organic and heirloom germplasm - had already sourced Purple Straw seed and were making it available for growers. "I was able to obtain all that was currently available from Sustainable Seed by assuring them that our No. 1 goal was to achieve biosecurity," Roberts said. "This is crucial to any restoration. There are very few identity-preserved cultivars that have this kind of presence in the South, let alone in America. So this was huge." "It seems like I'm hearing from everybody," Roberts said. "But regardless of the demand for Purple Straw, the preservation of the seed must come before there can be any kind of sizable distribution. And that's the beauty of being in the orbit at Clemson University. Scientists such as Brian Ward put biosecurity above all else. No matter who wants it, Clemson makes certain that enough is being done upfront to ensure that it is available for future generations. That level of discipline is not really present in most other places in the United States. So we are lucky, lucky, lucky that we have access to the services Clemson provides." Blackwell, president of High Wire Distilling in Charleston, will be one of the first to uncover the ancient wheat's potential. "Starting out, we hope to get at least 20 pounds of Purple Straw, which will allow us to create about 10 gallons of mash. After the mash ferments, we'll distill it twice in our little 10-gallon homemade still," Blackwell said. "This process will yield about a quart of a raw, clear whiskey - enough to give us an idea of the whiskey's character. To create a mash, we'll use about 95 percent Purple Straw wheat. In addition, we'll need to use a small amount of barley for enzymatic properties. But because the barley is only for enzymes, the flavor we'll experience will be 100 percent from the Purple Straw. And in the end, the essence and uniqueness of flavor are what these things are all about." Forrest Parker, South Carolina's Chef Ambassador, says that Purple Straw wheat has floral overtones that will add flavor and nuance to cakes and pastries. "A lot of people come to Charleston for tourism and culinary adventures," said Parker, who is a Lowcountry chef at the Old Village Post House Inn in Mount Pleasant. "But the restoration of these lost grains from the 19th century will increasingly add to the mystique, providing people with opportunities to not only enjoy better flavor, but also to experience foods that have long and fascinating stories to tell." The Purple Straw plants currently thriving in the fields of Clemson's Coastal REC are backed up in one of the REC's greenhouses by 500 more. This provides additional security in case something disastrous were to happen to the wheat growing in the open air. 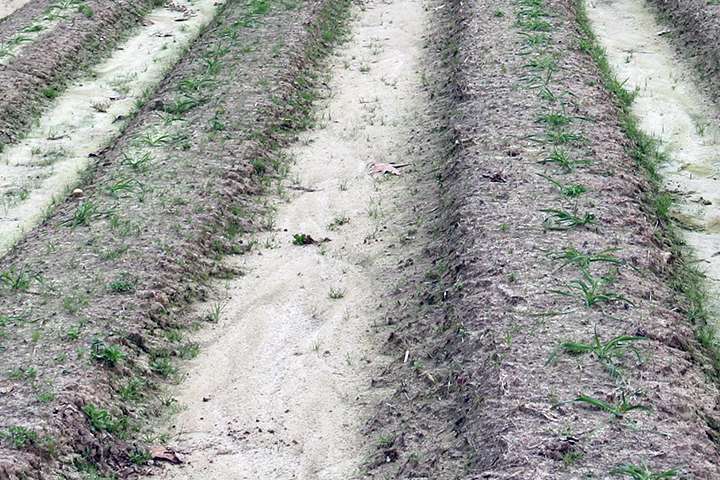 "My role is to ramp up the seed as much as possible," said Ward, who recently revived another heirloom crop - the African runner peanut - in the same fashion as he is attempting to bring back Purple Straw wheat. "Everything is on schedule and growing well. Ultimately, I believe that this will become another success story, which makes all the hard work so rewarding to everyone involved."